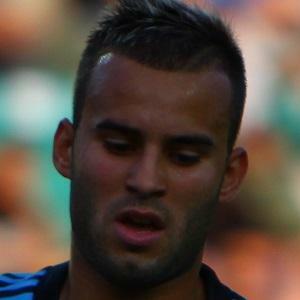 Professional soccer player also known by his full name, Jese Rodriquez. He attracted attention for his technical skills and impressive pace shooting with either foot, he made his professional debut in 2011 for Real Madrid. In 2016 he began playing for Paris Saint-Germain and was loaned to Las Palmas in 2017. He began his youth career with El Pilar FC. In 2009, he played for Spain's under-16 national team. He has three kids: Jese Jr, Neizan, and Nyan. He joined midfielder Sami Khedira on Real Madrid in 2011.